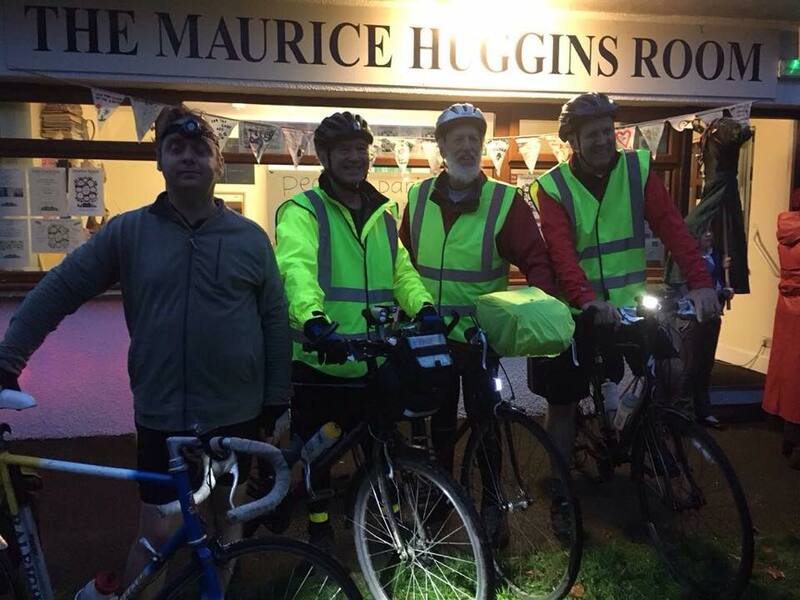 More details about the night to follow – cyclists will be cycling in at 7.20pm! For once I struggle to find the words! 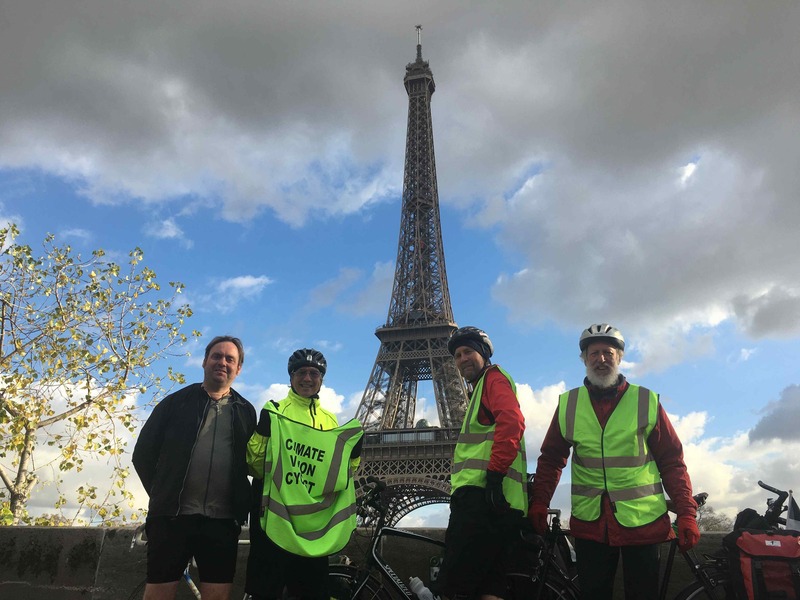 It’s been a fantastic 9 months working on the Carbon Logic Project and what the cyclists have achieved is astonishing – to cycle 350 miles, taking our message from Cornwall to the heart of the debate in Paris, to inspire so many great leaders who might also be looking for an answer. This is a genuine and significant legacy- so many people now have the toolkit and know we CAN cut carbon EASILY and cheaply. Thank you Ricky, Euan, Ewan & Roger you’ve been unbelievable. 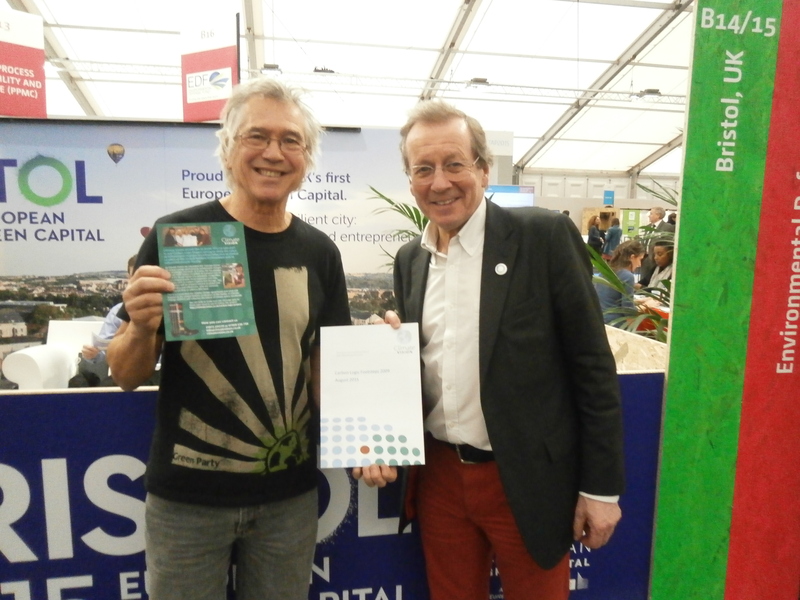 Ricky has been in Paris the whole time, and is currently travelling back as we write – he tracked down Environment Ministers Climate Vision had previously made contact with and many others, who were interested in our methods and delighted to meet up to receive our report. We are delighted with the result in Paris. They have united, agreed and told the world what they will do. We must now help them, by encouraging our MPs and each of us to personally enhance the political will to make exciting and significant changes for a cleaner planet. It was close, we cannot afford to get that close again if we wish to exist in the way we have known in the past. There will be a rocky road ahead, we must all learn a little about this subject to better prepare, and make the road safer by cutting carbon today. Let’s not forget the report says, how easy it is to cut carbon, after a few hard habit changers – just like when we started recycling just over a decade ago, now it’s so easy and worth it. These 10 habit changes enable us to be healthy, save money, support the local economy, and become wiser regarding climate change and a little more relaxed about our children’s maturity. What it is like going by bike? Cold, wet, windy – and exhilarating! However, when you are cold, wet and tired, food (especially French food!) tastes so much better, cafes are so much warmer and the cosiness of fellow humans also appreciating their lunch is heart (as well as body) warming. The entry into Paris on a bright sunny day was absolutely wonderful – it was one of the most natural ‘highs’ one could have had. 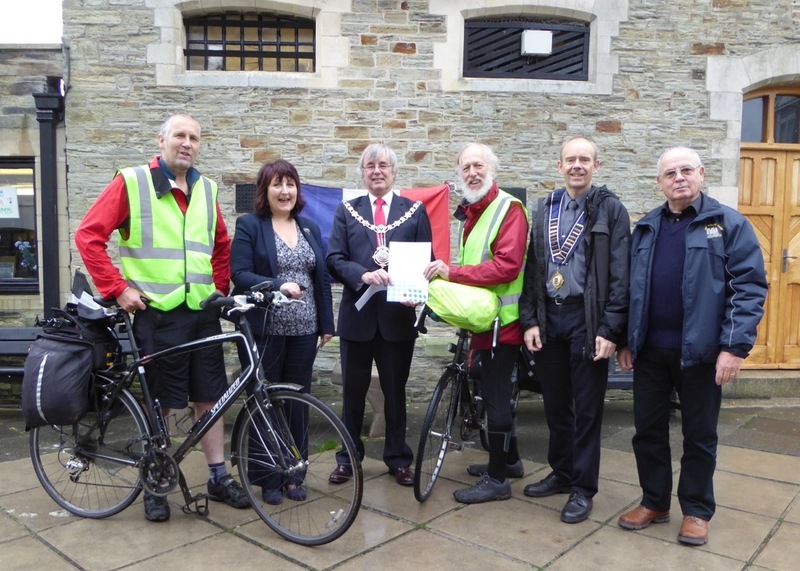 Also, the hard cycling was more than compensated by the warm reception we had from mayors and councillors across Cornwall, our overnight hosts across France and the delegates and other representatives we met in Paris. They are all people of good will – and meeting them, giving them a copy of the Climate Vision Report and talking about our common concerns shows that basically most ordinary people want change. And they are prepared to be part of that change! It is time for governments to catch up with where people are at! And that, of course, was the main message of the report we were carrying. When I announced nearly a year ago that I was going to cycle to Paris to support COP21, I could never have imagined how fulfilling it was going to be. To have the companionship of the other three stalwart cyclists, to meet so many good people along the way, and to catch some of that frisson of youthful expectation in Paris was quite magical. And, hey, Paris is a magical place, a magic that no terrorists can destroy. In some ways what we did was tiny; yet revolutions are made from the combined efforts of many tiny contributions. Was I mad to do it? Perhaps. But then as Fritz Schumacher said, he did not mind being called a crank, because “cranks do useful work and cause revolutions”. What did you feel you achieved? 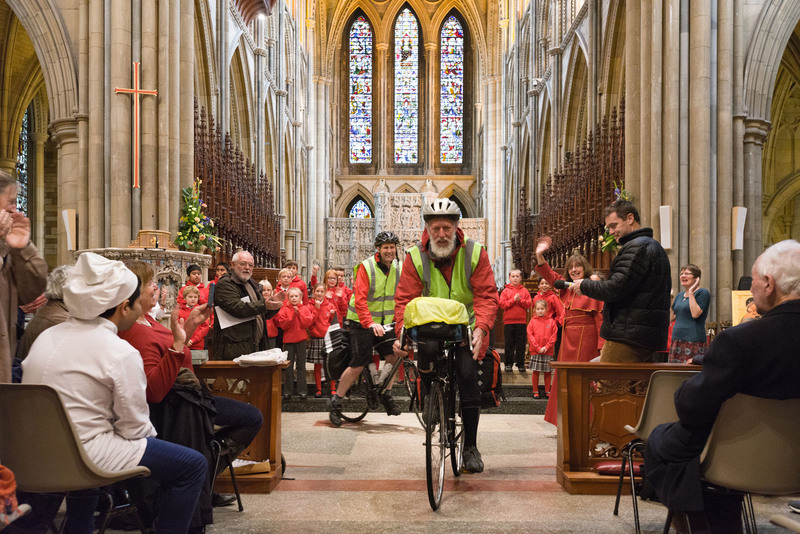 “One small pedal-push for a human, but a massive revolution for humankind!” (to paraphrase Neil Armstrong). I can only think of my own disappointment and frustration if I had not gone – it was just something I had to do. But what made it all the more meaningful was the sense that I was carrying with me the hopes and dreams of so many more people who, for whatever reason, were unable to make such a journey. 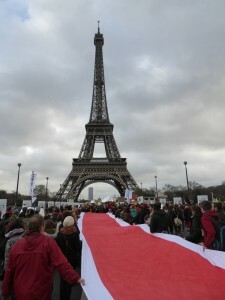 And on reaching Paris to meet so many others who were similarly enthused. What do you think about what Paris achieved? There was always a danger that another fudged result might have come about; but after the disappointment of Copenhagen six years ago, in a sense the stakes were higher than ever to secure a deal. And a deal has been secured. However, the proof of the resilience of what has been agreed to will be the actions that follow. And this is where the hard slog begins in every country, and especially here in the UK where we have a government that is still deeply committed to fossil fuels and ambivalent about renewables. Incessant pressure will now be needed to help ensure that our government follow through on their commitment in Paris with action on the ground at home. As Winston Churchill said “Now this is not the end. It is not even the beginning of the end. But it is, perhaps, the end of the beginning.” Now let’s begin the work that needs to be done! Simply the best way to travel. Make the journey part of the experience. Yes it takes longer and sometimes the weather may seem bad when you are sitting inside looking at the raindrops, but once you are out in it and doing it then it becomes part of you, and you part of it. We live on the earth and only by travelling under your own power and at a human pace across the face of the earth can you really feel the landscape you pass through. That connection is vital to give your journey meaning. To arrive knowing where you have come from and how you got there not only in your head but in your legs as well makes the journey far more intentional, far more part of you, far more connected, far more valuable. The time that is spent travelling on foot or by bike is time well spent, and without doing it this way the project would have been far less meaningful. I fully intend now to remove all fossil fuel based transport from my life over the next few years – it is possible and will be rewarding. That is my new pledge by 2020 to no longer be using oil based fuels or carbon based electricity to travel. We rode largely on back roads, we talked as we rode in different combinations, we spoke with people when we could, we stayed in amazing ordinary places and saw extraordinary ordinary sights. We connected with places and people even as we moved on. The medium of the journey became the message. The message passed by word of mouth and with the talisman of the printed report. Some changes in me that are still working through. New understandings and new respect for my companions. Maybe some of what we did had a small impact on those at COP21, but more important is the continuing impact that will be created by our lives henceforth. Ripples that will continue to spread. We went with the flow. Connections and coincidences abounded. By taking the time to travel with intent we opened ourselves to getting energy from the richness of our world. It was a very powerful and strangely humbling experience. 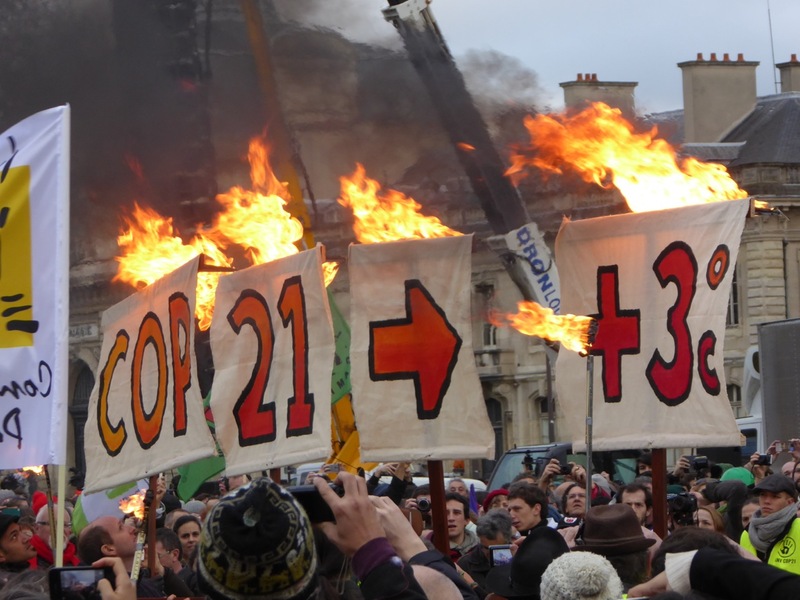 After Paris the Climate movement is finally growing up and taking responsibility. Old world leaders demonstrated that while they understand the science and agree with it intellectually by signing up to less than 2 degrees, they displayed terrible immaturity in failing to recognise the implications of this high level intention. They have finally shown that they, as representatives of the system which has made them its figureheads, are incapable of accepting the solutions that are available. This is a failure of the system of governance and the economic system that drives it. Just as the science is clear, so the solutions are clear, and there is no place in the solutions for exploitation of resources or people , just as there is no place for polluting without immediate consequences for the polluter. A new world is possible. We can leave it in the ground. We can get out from behind our screens and our steering wheels and onto our bikes and our feet and make the new world. We will live in harmony with the world or not at all. We travel as equals or not at all. I would like to finish by thanking deeply Euan for inviting me to become part of this, and Luci for providing the inspirations and Ricky and Ewan without whom the band would not have been complete, nor the music so sweet. 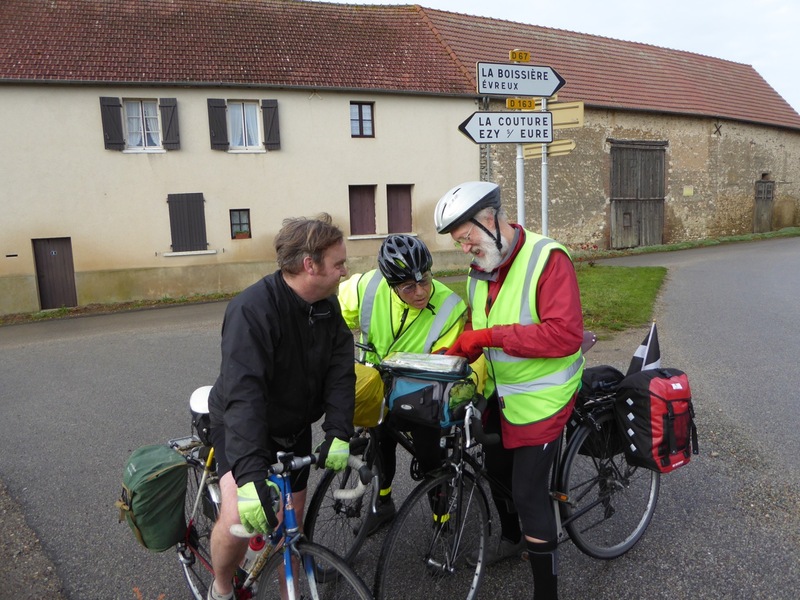 Cycling enables you to see, and feel, the French countryside at a pace that is not possible when travelling by car, or train. One of the highlights was on Monday 23 November, after departing Ricky’s friends Pierre and Beá, a line of wind turbines appeared in front of us, sunlit above the mist. We had seen these from Caen the previous day, but would not have discovered them so close-up if we were not on our bikes. We of course had to stop for a photo, and found a friendly French power worker to do the honours. The below copy and pasted from my Nous arrivons à Paris 30 November blog. 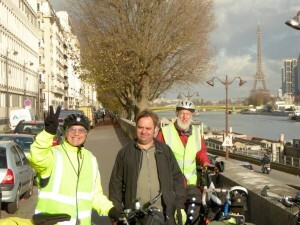 We rode into central Paris in sunshine on Thursday afternoon. The French climate had been kinder to us since the weekend, and Thursday morning dawned brighter than any that welcomed us into Brittany and Normandy. Françoise and Laurence, our hosts in rural Senneville, a mere 60 km from the centre Paris, had fed us well the night before. 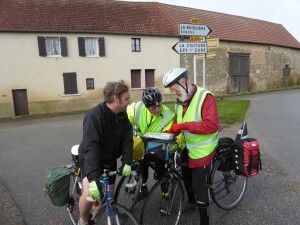 Françoise even filmed our departure and rode the first kilometre with us. The Paris that we found was getting on with life with all of the insouciance that we would have expected, regardless of the criminal actions of a few bearing guns two weeks before. 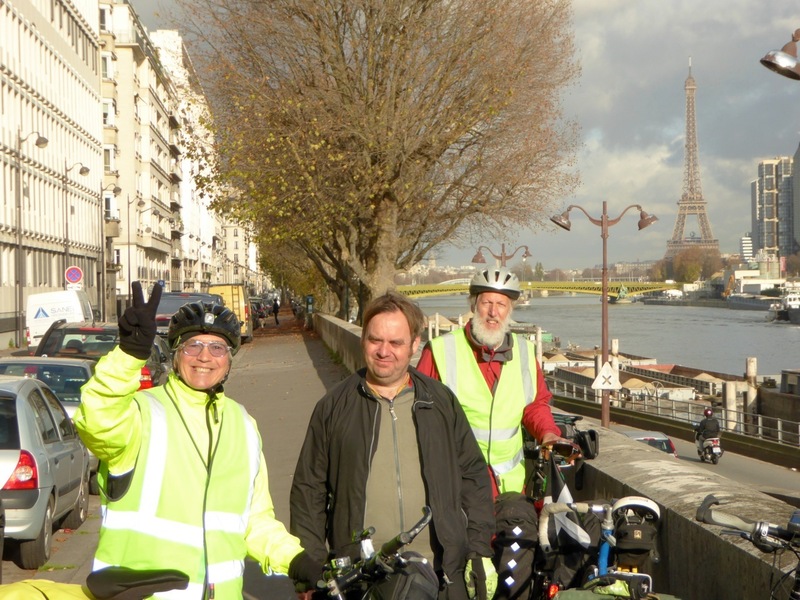 Barack Obama has today saluted the UN COP21 climate talks as “an act of defiance” – the Parisiens with whom we four British cyclists shared a Metro carriage, on the way to a (most) welcome dinner with SW Green MEP Molly Scott Cato, would not have had it any other way. 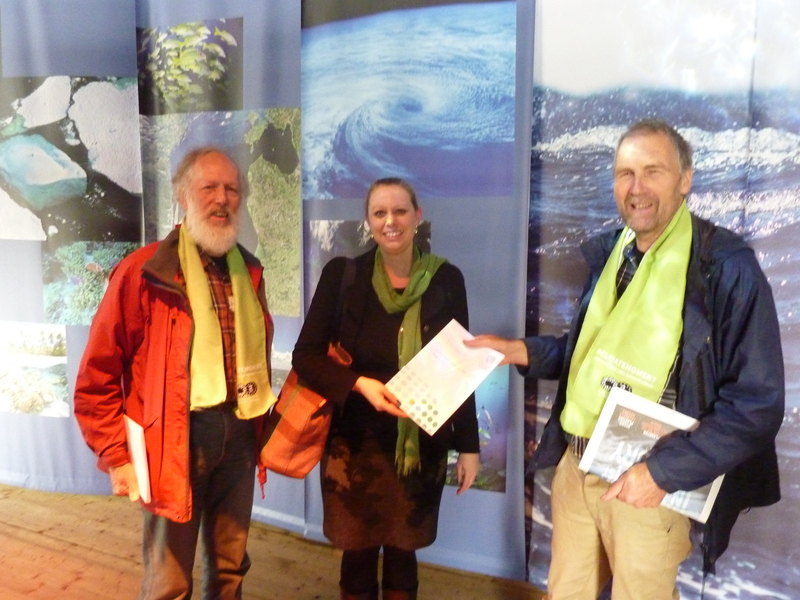 • Romain Troublé, Co-ordinator of Tara Expeditions, gave an overview of the #OceanForClimate campaign at COP21. o Monica Araya of Cost Rica stating that “We need to switch narrative to co-operation & collaboration, and not apologise for it”, and identifying “the biggest and most difficult question” as “how to unplug dirty energy projects” – George Osborne really should have been there! o Alix Mazounie of France saying that France, like many richer countries, needs to increase the political will, and focus more on funding adaptation to climate change. o Claude Turmes of Luxembourg advocating de-risking energy finance via IRENA to shift solar power from where the money is, to where the sun is. o Isabelle Lövin, Swedish Minister for International Development and Co-operation, warning negotiators not to let “the usual suspects” of vested interests make ‘best’ the enemy of the common good at COP21. • In a discussion of possible outcomes and communication, Asad Rehman of FoE identified the strategic challenge as democratic: recognising that people do not currently have enough power to deliver the positive change they demand – while Carole Dieschbourg, Luxembourg’s President of EU Council of Ministers for the Environment, summed up the EU position with “we must raise our ambition – be courageous and take responsibility”. • A concluding interview with Polish journalist Karolina Zbytniewska highlighed why we all need the EU if we are to conquer climate change, saying that the Polish Government “thinks its national treasure is coal”, but the positive future lays in the Polish diaspora wanting to feel included in the international debate. The Guardian’s Fiona Harvey had sent apologies at the last minute, when she secured an interview with French Foreign Minister Laurent Fabius. The hardest thing was leaving Paris, not just because I had been reminded how much I love the city, but also because our train to Caen was an hour late – meaning that Roger & I almost missed the ferry back to Portsmouth. 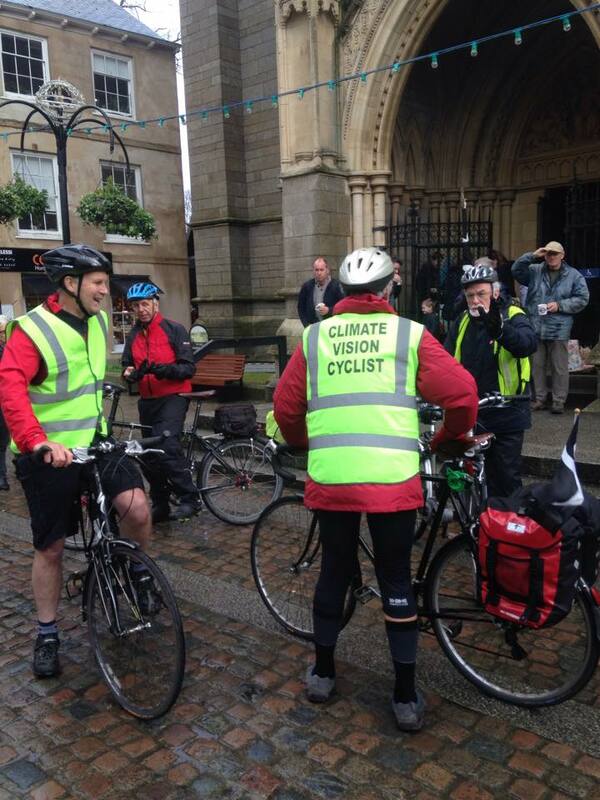 Sunday’s Climate March in Bristol was universally good humoured, if a little damp. 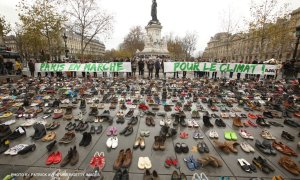 …10,000 empty shoes, including those of Ban Ki-moon and the Pope, shining a beacon for democracy across the globe, and forward for future generations, who depend on a positive outcome from Paris over the next two weeks. We can only hope that they all receive the hope that they so richly deserve. 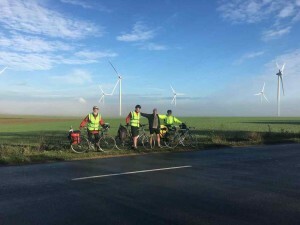 People intuitively understood the personal commitment that led four people from the South West to cycle to Paris for COP21 – most people have cycled at some time during their lives, so the cycling was both tangible to them and seen as credible and relevant to the issues being debated in Paris – we were travelling using our own renewable resources, not fossil fuel power. Others have of course achieved much similar via Radio Cornwall etc. 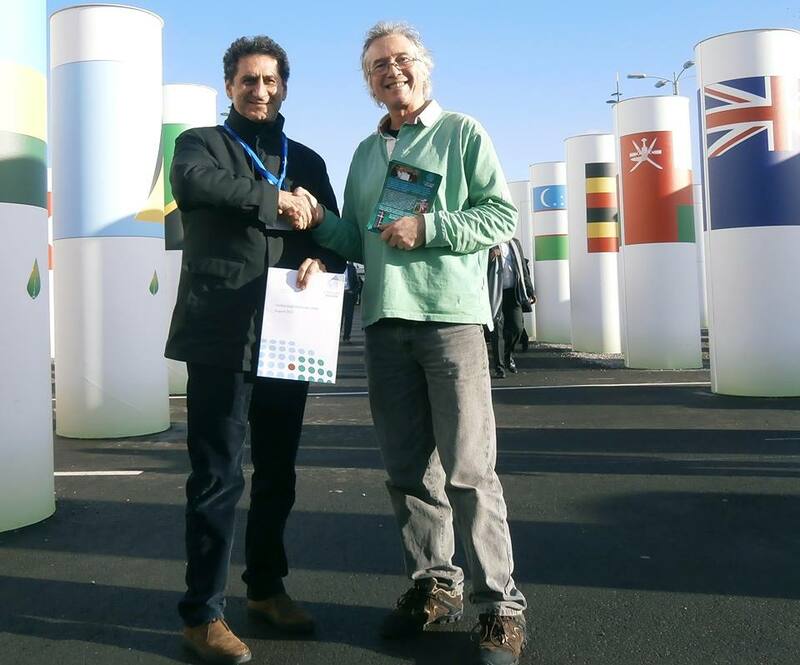 The conclusion of the COP21 climate talks were on my mind on Saturday, as I travelled to Truro and read updates from Paris on the train. Fellow cylist, Euan McPhee and I were ‘closing the circle’ by meeting Labour MEP Clare Moody where the Climate Vision report, and our ride, began. 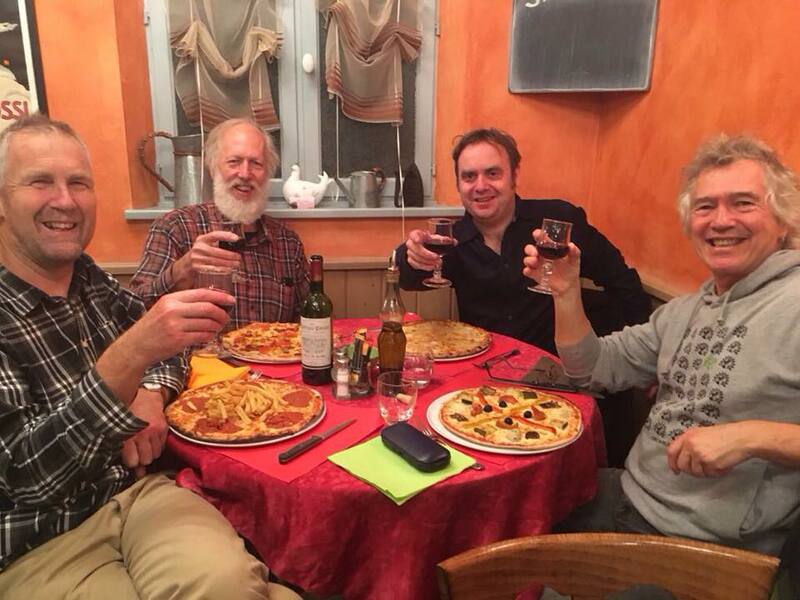 Green MEP Molly Scott Cato had welcomed four hungry cyclists to Paris with pizza. We had offered similar meetings to all six South West MEPs. I reflected that the bottom up pledge approach celebrated by Climate Vision had proved to work in Paris, whereas reaching agreement on top down national targets had so conspicuously failed at COP15 in Copenhagen six years ago. We have a Paris climate deal – the hard work starts here. In business strategy terms, world Governments have agree “the what” (keeping global average temperature rises “well below” two degrees, while aiming for 1.5 degrees). They now need to work out “the how”. 1. Macroeconomic: Change will not happen fast enough until using fossil fuels are more expensive than renewable alternatives. We need a global redistributive carbon tax, or ‘fee’ (as former NASA scientist Jim Hansen prefers) – not today’s carbon ‘price’, where big polluters get their base emissions free, and trade at the margins. Carbon ‘pricing’ is a system designed for city traders, not to reduce harmful emissions. 2. Way of business: Businesses should do good. They feed us, cloth us, keep us warm and comfortable. But today’s global corporations are compelled by legal ‘fiduciary duty’ to place financial interests above people and planet – leading to tax avoidance, devaluation of workers’ conditions, and exponential growth in resource consumption. There were bizarre scenes in Paris where marketing departments were campaigning for a climate deal, while their companies via trade associations were lobbying against the same deal. The UNEP Finance Initiative, working with Al Gore, have identified broadening ‘fiduciary duty’ for people and planet as the key to reclaiming democratic control of capital in the U.S and Europe. Today’s capitalism was designed when business was done in local towns and cities. The UK parliament fought to control the anti-democratic practices of the East India Company throughout the 17th-19th centuries. We can and must do the same today to make global business fit for the 21st century. 3. Democratic: The United Nations has struck a deal in Paris through democratic co-operation. In Britain, the majority support renewable energy, and think fracking reckless for both our countryside and climate – but our Government increases fossil fuel subsidies while blocking renewable energy. We are out of step with the world. Europe looks on us with pity, when the ‘mother of parliaments’ can return a majority on 37% of votes cast. 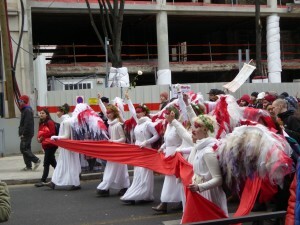 Writing this a month to the day after Paris attacks, there is growing realisation that environmental sustainably means peace. Nobody has yet fought a war over solar power. 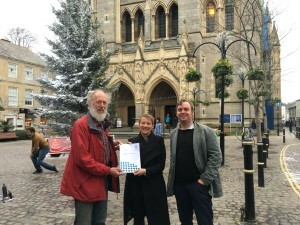 We must all protect the democracy we have won, and keep demanding more – remain a constructive part of the EU, return ten million unregistered voters to the electoral roll, reform our parliamentary representation (just as we removed ‘rotten boroughs’ in 1832), ensure all town halls have a democratic mandate, and give votes to the 16-17 year olds whose futures politicians in Paris were debating. Ricky was travelling back while this article was put together. As you can imagine, like all of these fantastic four, exhausted and in need of a rest! Please do come along March 3rd and see him for yourself. 6. 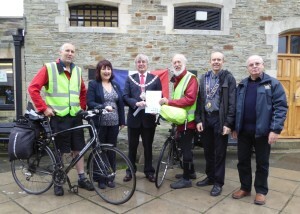 George Ferguson, the ‘independent’ [Green) Mayor of Bristol, who was meeting up with the Europe-wide ‘Covenant of Mayors’ last Friday at the Paris City Hall – at which point he would make every attempt to pass the report onto Mme le Maire Hidalgo – a VVIP! 8. 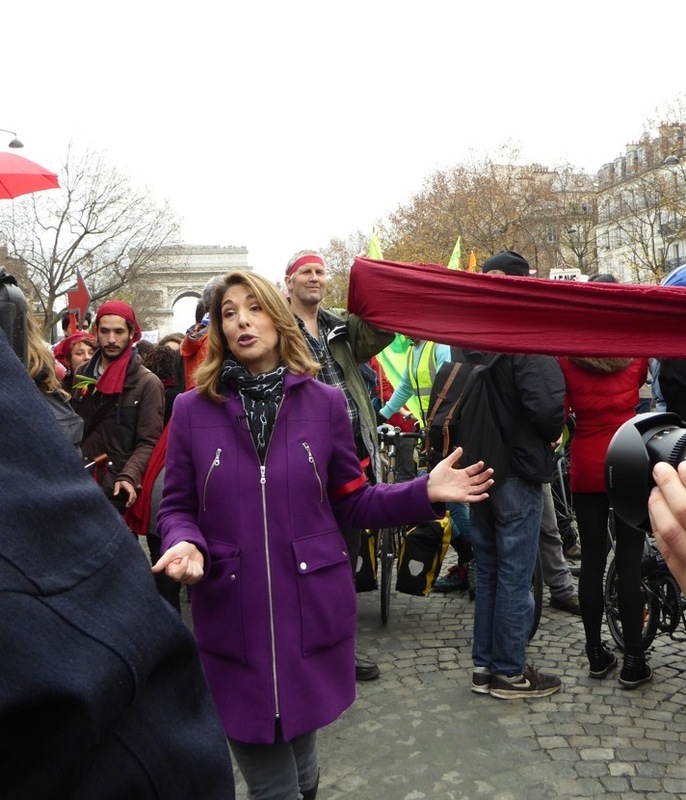 Ricky Knight “Today (10th December) was my last visit to the main Conference area, as tomorrow I’m stewarding at the alternative people’s summit (ZAC – Zone d’Action Climatique), so it’s unlikely now that I’ll be able to deliver the Climate Vision to any more VIPs! I’m afraid I have missed Bas Eickhout ……. BUT, see below, I did catch Nick Stern (left, next to Jeffery Sachs and Stephan Singer from WWF; not on photo: David King) at a pretty high-powered panel this morning. 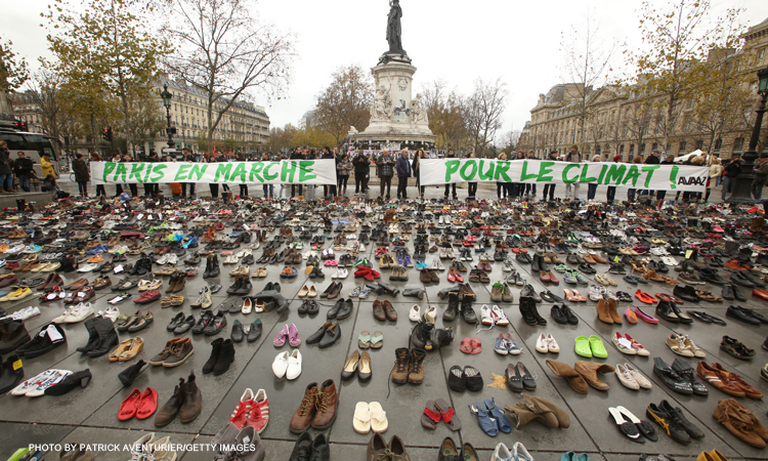 The place de la Republique covered with shoes organized by Avaaz during the forbidden COP21 demonstration on November 29, 2015 in Paris, France.